Say goodbye to the boring backyard! 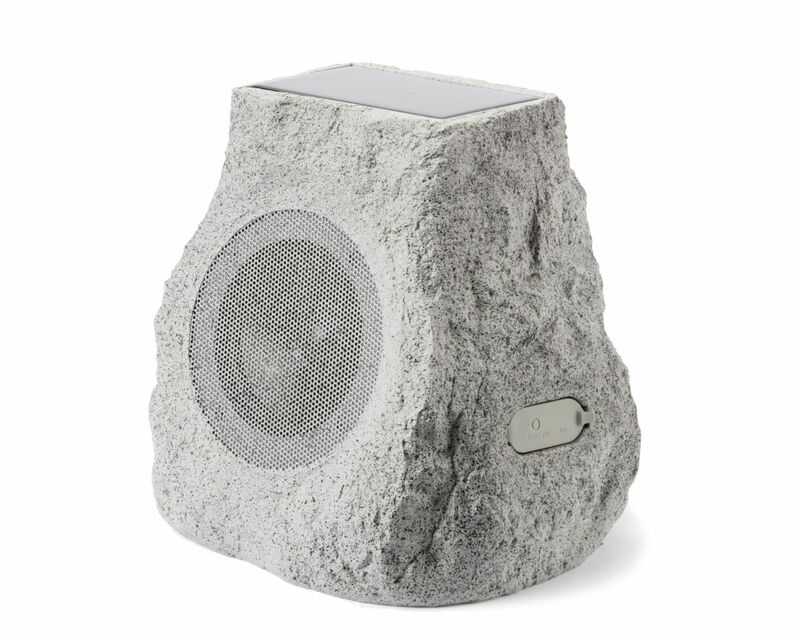 Glow Stone Solar is a great-sounding outdoor speaker with a long-lasting rechargeable battery, so you don’t need a power cord to fire it up. It streams music wirelessly from any Bluetooth-enabled device, plus it has a 1/8-inch Aux input for non-Bluetooth gear. With a robust 5-inch speaker and 12 watts of dynamic power, your music sounds vibrant and lifelike. But Glow Stone Solar is no ordinary “rock” speaker: The built-in LEDs create a glowing, lava effect in multiple colors, and you can select the colors and display patterns. The convenient top-mounted solar panel recharges the battery, or you can use the USB cable. Lightweight and easily portable, Glow Stone Solar’s iPX4 water-resistant rating means you can leave it out in the rain without worry. You can even link wirelessly to another Glow Stone Solar for genuine stereo sound. This is the outdoor speaker that does it all!